Do we really think all it takes to effectively reverse the effects of one pill is another pill? Really? What are we doing? We must get over the idea that pills are magic. We must remember what Einstein said. First of all, he said that insanity is when we keep doing the same thing over and over again expecting a different outcome. And secondly, he said we cannot solve a problem with the same mind that created it. This is why if we are to effectively stem and eventually stop the opioid epidemic in this country, we must stop believing that pills are magic. We must turn our attention to the amazing healing abilities of our bodies and we must give them the time they need to heal. Healing is not an instantaneous process. I know that’s difficult for a society that wants instant gratification to hear, but it’s the truth and it’s the only way to effectively put an end to the opioid crisis in this country. Today we know so much more about opioids and addiction. We know enough to stop prescribing them for starters. Or at least to closely monitor their use and identify abuse when we see it. This is what we now know about the transition from the management of pain to addiction. •Roughly 21 to 29 percent of patients prescribed opioids for chronic pain misuse them. •Between 8 and 12 percent develop an opioid use disorder. •An estimated 4 to 6 percent who misuse prescription opioids transition to heroin. •About 80 percent of people who use heroin first misused prescription opioids. •Opioid overdoses increased 30 percent from July 2016 through September 2017 in 52 areas in 45 states. 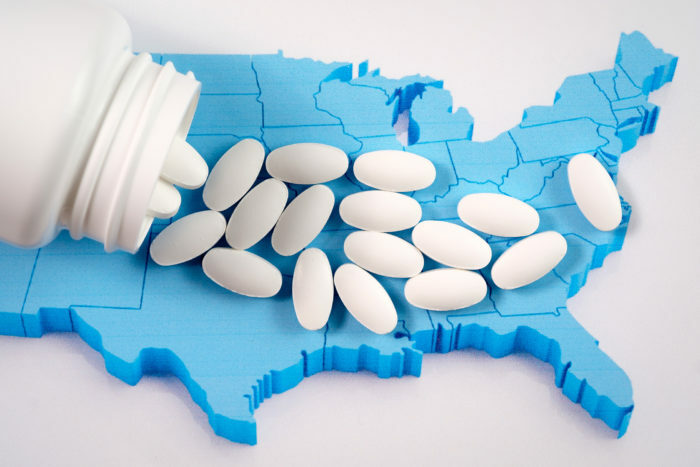 •The Midwestern region saw opioid overdoses increase 70 percent from July 2016 through September 2017. Pain can be and has been managed for decades without addictive pills. I have been treating pain through chiropractic my entire career. An aspirin or over the counter analgesic can be helpful, however, the dependency on stronger drugs is, as we have come to find out, not constructive. Besides chiropractic, pain can be managed by physical therapy, massage, yoga, meditation and a variety of other modes besides pharmaceuticals. Clearly the pills are creating more pain than anyone could have ever imagined. The pain may seem unbearable, but it won’t kill you. The pills you take to minimize the pain will kill you though. And when you are gone, the pain of loved ones left behind is immeasurable. © 2019 Dr. John Rosa Chiropractor Treatment | Speaker, Author, White House & Law Enforcement Consultant for the Opioid Crisis.